You’ve heard our mantra “Beer is Food”. 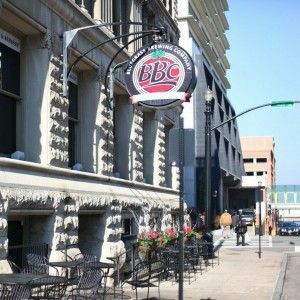 BBC is Louisville’s original craft brewery and we pride ourselves on our handcrafted, award winning beer. 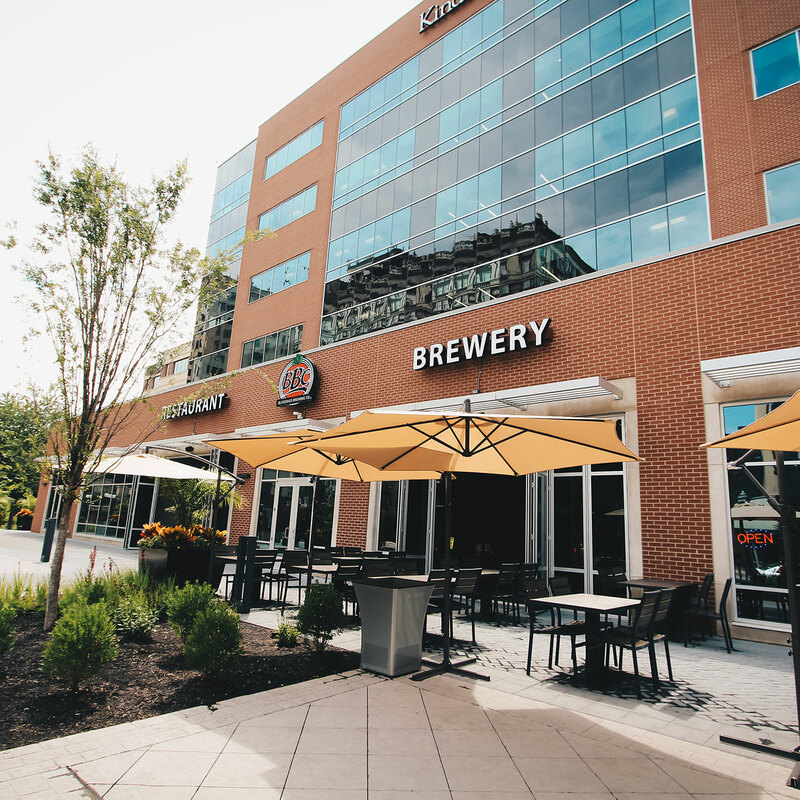 Stop by our 4th Street location and enjoy a selection of “always on tap” standards, seasonal offerings, or specialty brews. Homie IIPA starts off with a malty backbone surmounted by fistfuls and fistfuls of Columbus, Cascade and Centennial hops. The balance between the hops and malt give this beer a very full and satisfying finish. But be forewarned. At 10.5% ABV this beer has enough alcohol to be used as jet fuel….well not really but almost. But there is a chance of some Home Wrecking after a few pints. Enjoy and try not to destroy any homes. A rich and robust blend of pale, caramel, and dark malts sets the stage for BBC Dark Star Porter's robust presence on the palate. This smooth but robust porter has complex notes of chocolate and roasted grains balanced by additions of traditional English hops, creating a delicious chocolaty and smooth ale. BBC Bourbon Barrel Stout is Kentucky's original bourbon barrel aged beer. We use an American stout base and age in Four Roses Bourbon barrels for a minimum of 6 weeks. The long aging time helps to extract rich vanilla and caramel flavors from the charred oak barrels. Altbier, literally translated as "Old Style" beer, is a classic German ale. BBC Altbier is brewed with additions of Munich, wheat, caramel, and chocolate malts creating a delicate, but flavorful malt profile. This delicious amber colored session beer is balanced with additions of tradtional spicy German hops creating a light and floral bouquet to compliment its complex malt profile. An American standard, BBC APA is a full bodied and heavily hopped American Ale. It is copper in color and brewed with a blend of pale and crystal malts, balancing the citrus and pine flavors from large doses of American and English hops to create a very drinkable, hoppy ale. BBC APA is a hophead's dream! A very drinkable, crisp and clean light-bodied American Wheat Beer. 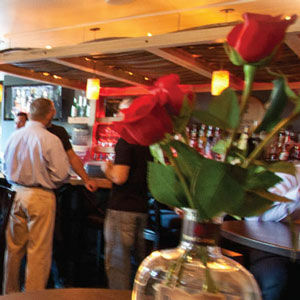 Historically a meade was made to celebrate the union of a couple and given to them for celebration of their marriage. Truly defined as a braggot, BBC Luna De Miel is a fermented honey ale flavored with a blend of raspberries and blackberries. Luna De Miel is a refreshing change from standard BBC offerings. Luna De Miel is effervescent, fruity, and light, yet warming from its moderate strength. BBC Luna De Miel is offered in a 6 oz glass. A full bodied Scotch ale; malty, and orange blonde colored. It is more lowly hopped than the English counterparts but just a touch more bitter. It has a sweet caramel malt character is due to incomplete fermentation. BBC's most medaled beer is back after a long hiatus. This version of BPBW was brewed one year ago on our newly recommissioned brewhouse. It has undergone two separate dry hop cycles over the last year and is presented for your enjoyment in half pints. Classic American IPA brewed as a hop showcase with Centennial, Columbus, Summit, Citra, and Simcoe hops in the boil, dry hopped with Simcoe and Citra hops.